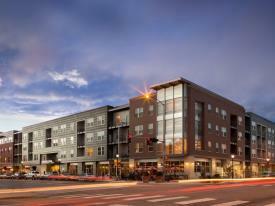 Furnished modern living in downtown Longmont. Offering sophisticated studio, one- and two-bedroom apartments that feature contemporary finishes and all the comforts of home. Explore spacious courtyards and the neighboring park. 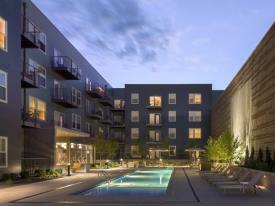 Beautiful new apartments with open floor plans and lots of amenities. Pets: Up to 2 dogs, up to 2 cats. Pet Friendly. Call for details!